It took me some time to accept AF-D lenses as a viable option. As a tech head I’ve always wanted the latest and greatest. Why would I want to use the same crusty old screw drive lenses my uncle was using in the 80s? But they were still manufactured and damn cheap so I purchased a few lenses and gave it a shot. These things are ridiculously cheap. They’re extremely small and light too. This is thanks to their older lens designs (not being as well corrected for lens aberrations and corner sharpness) as well as not having an internal focusing motor. We’ll hit on those two points later. The size and weight of these lenses, combined with the relatively svelte Nikon D750 meant I was approaching mirrorless camera size and weight. This combined with the traditional Nikon qualities makes it a wonderful professional tool. We’ll get the bad out of the way first. 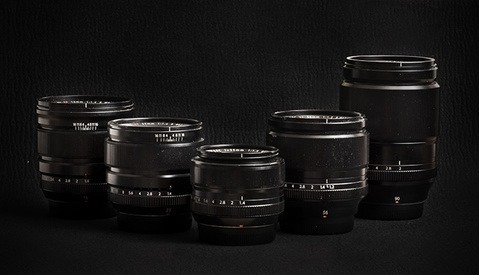 If you want to shoot at f1.4, these lenses are not for you. We’re in an era where lenses offer corner to corner sharpness at wide apertures, and for many shooters, there is no going back. As I do most of my shooting between f2.2-f5.6 they work well for me and deliver reasonably sharp results for real world use on my D750 and D810. It makes more sense to consider these a contender for people who would be looking into something like the Fujifilm X system with its new f2 WR primes, rather than comparing them to 1.4E primes. Like any other lens series, there are good and bad apples. 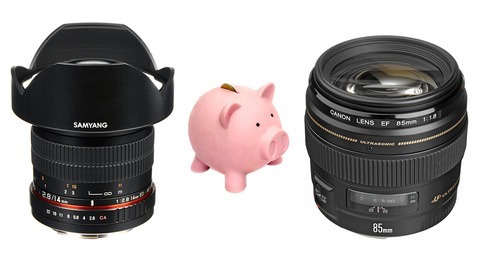 Generally with older prime lenses the longer the focal length, the higher the image quality. For example, the Nikkor 105mm f2 AF-D DC - released in 1993 - already had colors, contrast, and rendition that were just about perfect. With some of the nicest bokeh rendering to boot! The 50mm f1.4 AF-D is sharp well into the corners at f2.8 and just pure magic when shooting portraits at f2.2. As you go to the wide angles, modern coatings and optical corrections become more and more important. With that being said I’m still happy using the “worst” of the bunch - the Nikkor 24mm f2.8 AF-D - as it provides me with other qualities I value over sharpness. Qualities that are considered optical imperfections and ironed out in modern lens designs but which can add so much to an image. Sun flare and night lights blooming for example. It’s become an unlikely favorite of mine! I’m very happy with the image quality using them on my Nikon D810 with its 36-megapixel sensor and I foresee no issues using a Nikon D850 also. I must admit to never having used screw drive auto focus lenses until very recently. I was nervous initially. 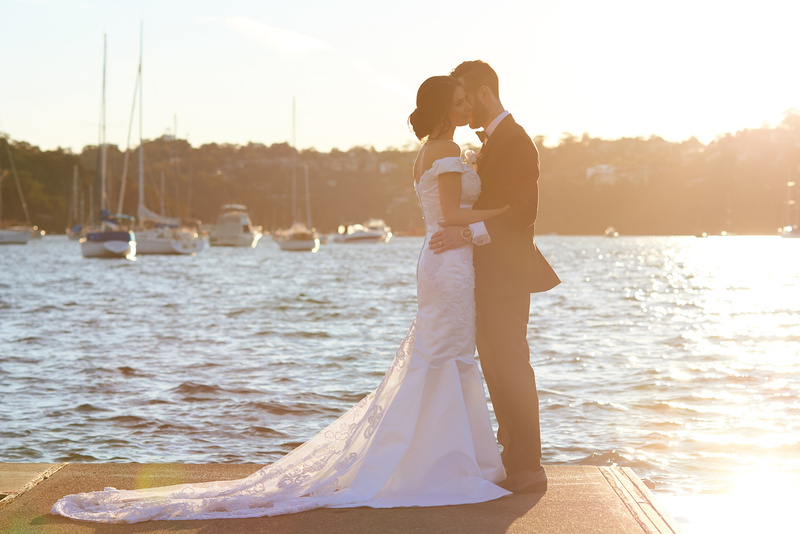 Will they be accurate and reliable for a professional wedding shoot? Will it track a bride walking down the aisle? Will the noise be an issue? Thankfully, the system pleasantly surprised me. After tuning the lenses using Reikan FoCal Pro they’re dead on accurate. I cannot recommend this program enough! My tip with these older lenses is to calibrate them for the minimum aperture you will actually shoot at (eg. f2.2 on the 50mm 1.4D for me). Are they noisey? If it’s having to rack focus yes, otherwise the movement is so minuscule that it’s just about silent. They seem to be accurate enough for my camera bodies that I don’t get much hunting which keeps the noise in check. When putting them on a newer generation D5 focusing system, they respond even better. Any hesitation is removed and the lenses lock on and track with ease. It was a delight to see these old lenses gain the same benefits as AF-S lenses do from improved focusing and metering systems! They’ll be very well suited to being used on the upcoming D850. As a side benefit, with no internal focus motor and great build quality, I can only assume they’ll last longer than their younger AF-S siblings. Gone was my gear anxiety. The anxiety of keeping up with the trends was replaced with the knowledge that my eyes and brain were the things that will make or break the image. Something about having these lenses on my camera reminds me of what photography is really about: capturing beautiful moments with gorgeous light. They encourage me to get out and shoot! If you couldn't tell already: I'm thrilled with my switch to these lenses. Using these lenses combined with Capture One Pro I get amazing rendition and skin tones straight out of camera. That means less time editing, more time shooting! There's something about the way they render color and skin tones that's really appealing right! What lens did you shoot the lead image on this article with? Less glass in the older lenses leaves more of the light spectrum in tact. Less aberration correcting coatings and less perfection. The new lenses try to correct everything to perfection. This seems to create a flatter looking image with less character. Also the new lenses have less micro contrast. I'm torn between the old with character and new with perfection. I used to use binoculars a lot for hunting. My favorites were the old style Swarovski porro prism . They had depth and great light gathering vs the roof type prism with the heavily corrected coatings on everything inside. They had to be because of all the glass they had to go through. The image just didn't have the depth or character. There's certainly something amazing in the colors coming through this glass! Thank you for this article Peter. Dare I say I have a few of these D series in my cupboard. Carry the 28 mm all the time. Yea the 35mm f2D is my walk around lens, I love it for that purpose! Love the post! That 105 is a beauty of a lens! I have a collection of D lens since the film days. I always have a 50 1.4D and a 20mm with me. Only until recently my 20 2.8D was replaced by the new AF-S 1.8G. With less corrective elements, no VR, no motor, simple mechanical design the D lens are certainly compact and have much fewer failure points. My 300 f/2.8 ED-IF (screw drive) has been with me for decades. I sill use it for sports daily here and wouldn't part with it for love or money. It sits beside the normal trinity of the 14-24, 24-70, 70-200.. But I would challenge anyone to see how or why this lens doesn't sit in comparable company as the newer pieces of glass. The D line (and older) are some of the best glass ever made. I'd rather depend on a lens where I have complete control over..... you know, that old stuff, like APERTURE, than newer SWM that fail and Nikon can't supply parts for anymore. I would love to add that 300mm 2.8D to my kit for fashion shoots! Yay! Someone who has an appreciation of classic "D" Nikon glass, warts and all. 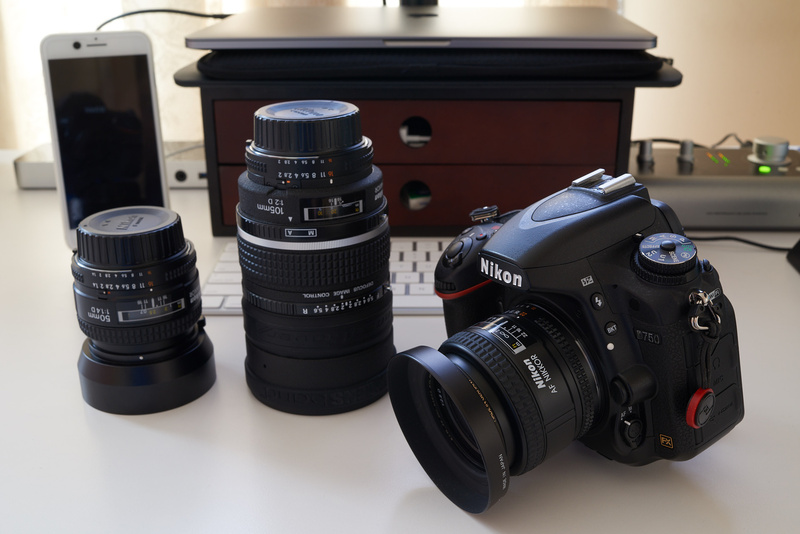 My two main lenses (35 AF-D f2, 50 AF-D f1.4) are "D" lenses. And I agree with everything you said. Just stop down a little. 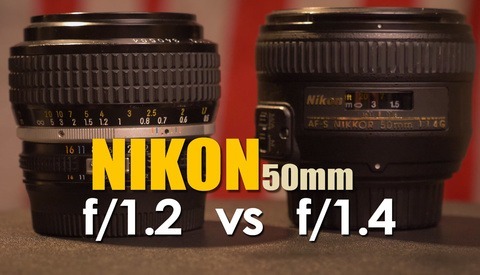 There's a reason Nikon still makes many of these primes. Although it's a fantastic lens, I even tried to trade my new 85/1.8 G for a used "D" version but backed out because I'd lose a few bucks in the deal (believe it or not...) Small, light, reasonably priced (especially used), good build quality and I just love how they render. The 50/1.4, in particular, holds its own very well against the much pricier, larger, heavier new stuff -- at least according to DXO testing. As an alternative to the 24/f2.8 AF-D, I might suggest the Sigma 24/2.8 Super Wide II. Some say better, some say worse than the Nikon but I say "eh - in the same IQ ball park" with a relatively simple but slightly different optical formulation (Nikon is 9 elements, 9 groups; Sigma is 8 elements, 7 groups iirc). It touts itself as a maco lens. Of course, it's not "macro-macro" but focuses to a few inches or so. I actually take advantage of its close focusing more than I thought I would in use. I vowed not to go out with any more than two lenses. I pair this (24mm) with the 50/1.4. (The other paring is the 85 with the 35.) When I do that I shoot with the 50/1.4, 90% of the time. Couldn't see dumping a lot of cash in a focal length I don't use regularly, and these Sigmas are cheap used but a little tough to find. Even cheaper is when they're badged as (shriek!) "Quantaray Tech-10", exact same lens, and kind-of a copycat of the D lens. I like the D glass so much, I may forego higher MP sensors down the road because they won't enhance the rendering, just expose flaws. In general, I'd say (my opinion) 24MP is about as high a resolution you want to shoot with any of these. 12MP is likely even better. More than 24MP, you might want to consider the new stuff. Not me. At least not for now.